In the middle of a busy month, it’s so refreshing to take a step back and read nominations from instructors at The Pointe for Dancer of the Month! In the middle of sorting through costumes, it’s so fun to see the great things happening in and out of the classroom at the studio. Please join us in congratulating February’s dancers of the month! 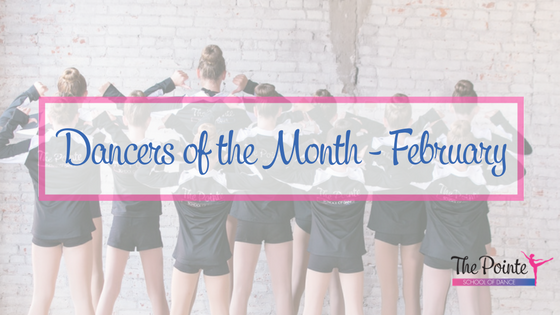 Congratulations to our February dancers of the Month! We are so proud of you!